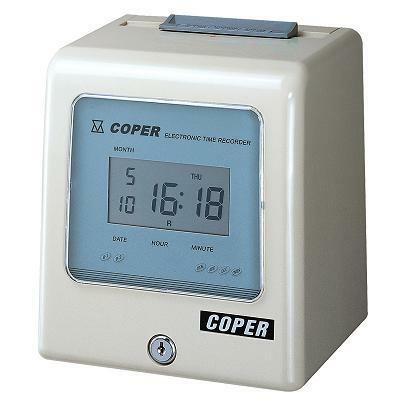 COPER Electronic Time Recorder - Jenxer Co., Ltd.
Jenxer Co., Ltd. is a good and professional manufacturer of Electronic Time Recorder products. 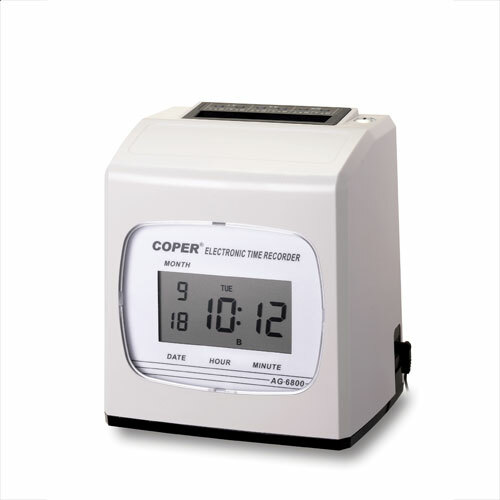 We provide high quality and compatible Electronic Time Recorder products for different requests and wishes from clients. 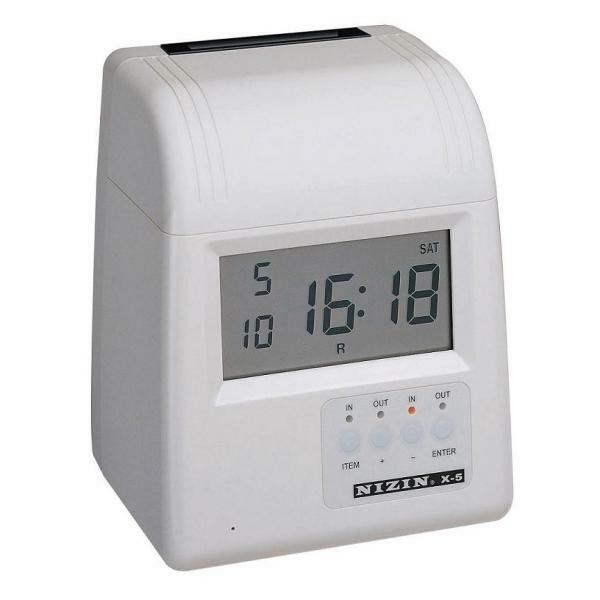 We are not only offering good Electronic Time Recorder products but also offering time recorder, computer time recorder, sport timer and time clock. 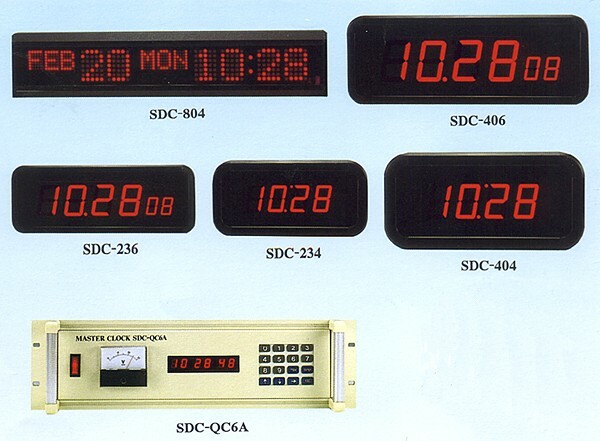 Our excellent supply of world-class quality and manufacture are based on modern facilities and quality control for Electronic Time Recorder products. As we know, there are many Electronic Time Recorder manufacturers are all over the world and are always in full swing in the markets. But we are very proud of our product qualities and we do believe that we can provide the best service. 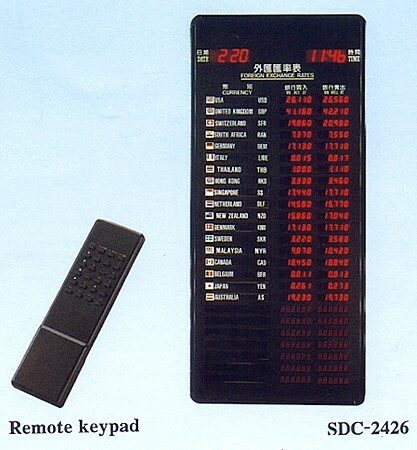 We, Jenxer Co., Ltd., are fulled of technical experiences and very well known on the Electronic Time Recorder markets. We are offering good Electronic Time Recorder product services with qualities and have modern facilities and quality control for Electronic Time Recorder process as, even better, other Electronic Time Recorder manufacturers. Therefore, Jenxer Co., Ltd. will be a good manufacturing partner as your need. 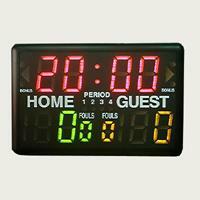 2.Large LCD shows date, weekday and time. 3.Perpetual calendar automatically adjusts for short months and leap year. 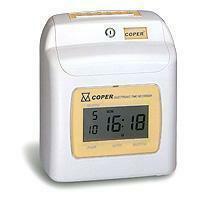 4.Back-up battery ensures operation during power failure. 5.Choice of weekly or monthly time cards. 6.Lithium battery retains program data during power failure up to 3 years. 7.2 pleasant music melodies and external bell alarm connection available. Auto detection correct side of time card for printing. Auto feed and eject of time card. Auto adjustment for daylight saving function. 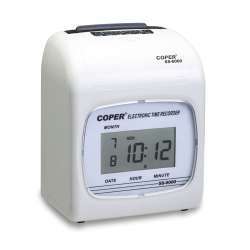 Programmable hour display and print (12/24 hours).